Modern LED lens technology creates a very good and homogenous field of light with light at close range and precise light/dark boundary. With integrated front reflector. 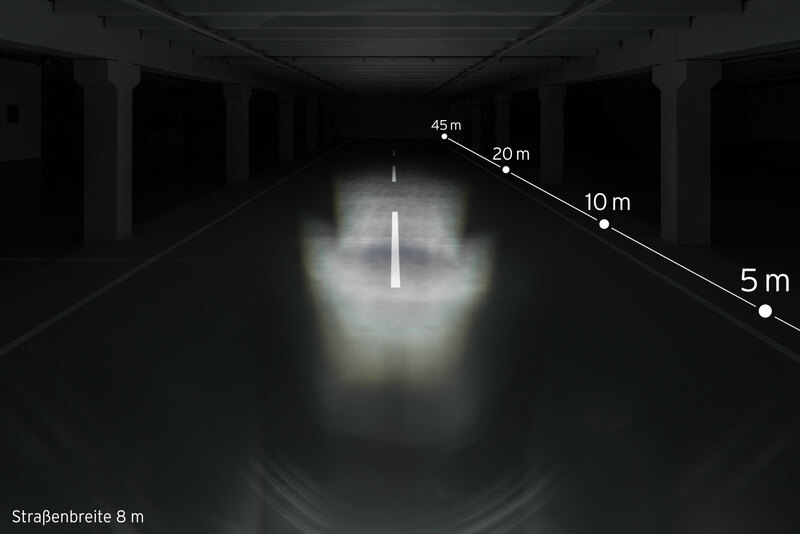 A deciding factor for the quality of a headlight is the field of light that is created on the road. Its depth, width, intensity, homogeneity and exact light/dark boundary provide the overall picture. We show real light fields of all of our headlights.